The following information is from Way’s Packet Directory 1848-1994 compiled by Frederick Way Jr. The SULTANA is vessel number 5216 in the directory. The Customs clerk used an approximation. The life-loss afterwards was set at 1,547 lives, at least 1,100 of whom were U.S. soldiers mustered out and returning to Northern homes. 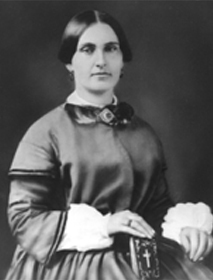 A popular and widespread belief was that Confederate spies had secreted dynamite in the coal bunkers, but three of her boilers had exploded without any help from spies. True, she had been having boiler trouble at Vicksburg where the troops came aboard. Nathan Wintringer, chief engineer, later testified that one boiler had been repaired there to his satisfaction. Capt. Speed, U.S.A. ordered 1,886 troops aboard this SULTANA which legally was allowed 376 persons, including the crew. It was common talk there at Vicksburg that two other large steamers, PAULINE CARROLL and LADY GAY, both bid for portions of these troops but were turned down. Landings were made at Helena, Ark. (where a photographer took a picture of her with the soldiers aboard), and another at Memphis. The night leaving Memphis was described as black with a thunderstorm gathering. A few miles above that city, in the crossing at Paddy’s Hen and Chickens, the explosion torched a ruddy glare among the cottonwoods of Tennessee and Arkansas and a dull rumble shook the countryside. The storm broke at the same time. 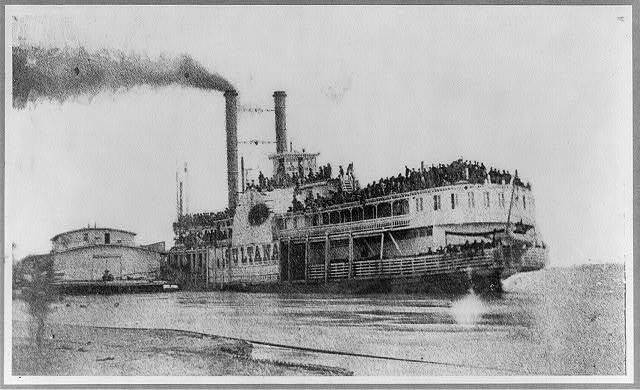 On the downbound trip to New Orleans, the last she made, the SULTANA carried the shocking news of the assassination of Abraham Lincoln to towns and hamlets cut off from all communication save what arrived by river. 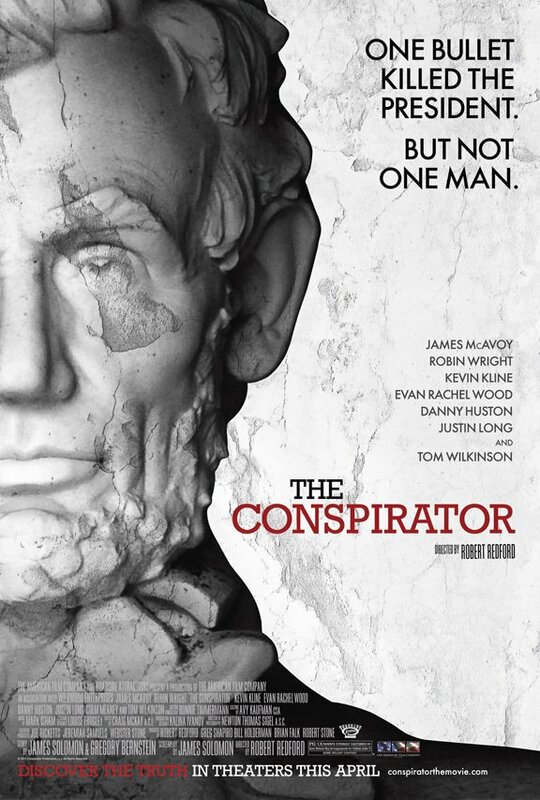 Now as she returned the nation’s newspapers were loaded with columns of excitement: J. Wilkes Booth had been located and killed; Lee had surrendered; the President was dead. A country geared to appalling losses took the SULTANA disaster with seeming indifference. The explosion happened early morning Apr. 27, 1865. See S&D Reflector, issue June 1965, pages 10-12; also September 1965, page 12. The SULTANA was built at the John Litherbury Shipyard in Cincinnati, Ohio. The 1860 Cincinnati City Directory lists John Litherbury at 165 E. Third Street. This year’s annual Sultana Reunion is in Mansfield, Ohio April 29-30! If you haven’t done so already, now is the time to make your reservations at the Holiday Inn by calling (419)525-6000 for Friday, April 28th and Saturday, April 30th. Mention that you are with the Sultana Association to get the group discount of $83.00 per room/per night. The banquet Saturday night (the 30th) will be a t 6:30 pm and will be an all-you-can-eat buffet. Price is $19.00 per person, including meal, drink, tax and gratuity. A new website was launched last month called Sultana Remembered by the Association of Sultana Descendants and Friends. This is one of their stories. 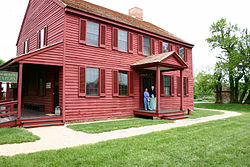 In April of this year, seventy-five members of the Association of Sultana Descendants and Friends came to the Carter House, the centerpiece of the Battle of Franklin, TN of November 30, 1865. The visit was an important part of their tour of the Franklin battlefield area because many of them had an ancestor who was part of the Union army which defended itself against General Hood’s Confederates on November 30, 1864. 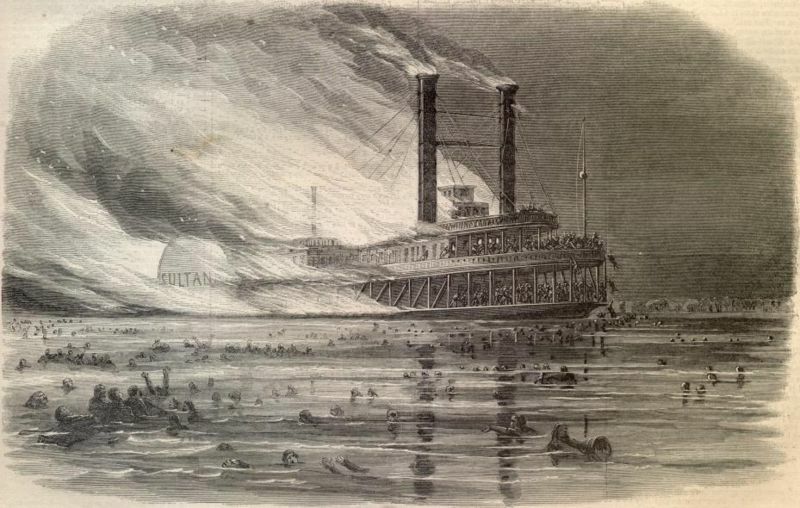 Most of the soldiers who were captured at Franklin ended up on the ill-fated steamer, the Sultana. This boat, which exploded and burned to the waterline on April 27, 1865, was carrying approximately 2,400 recently released prisoners of war on their way home from Confederate prisons. This event stands today as this country’s worst marine disaster. The group listened in fascination as Carter House Historian David Fraley recounted the events leading up to and including the action around the Carter House. It was agreed by all that his presentation helped everyone see and feel what the soldiers and sequestered members of the Carter family felt on that day. For those whose ancestors stood on this very ground it was an especially moving experience. My own great-great grandfather, Pvt. Adam Schneider, 183rd Ohio Infantry, had been mustered into this newly formed regiment just weeks before in Cincinnati, where he and his family had emigrated from Germany in 1854. He was a “standby,” or a “100% man,” who was called into service when one of the original draftees from the city’s 12th Ward couldn’t fulfill his obligation. At 42, he was three years shy of the cutoff age for the draft at that time. When his regiment headed for Franklin after only three weeks of training, he left a wife and three small daughters at home. Arriving at Franklin after joining Schofield’s army at Spring Hill, most of the183rd was placed near the Carter House among veteran troops, with the thought that Hood would not attempt a frontal assault against the entrenched Union army. 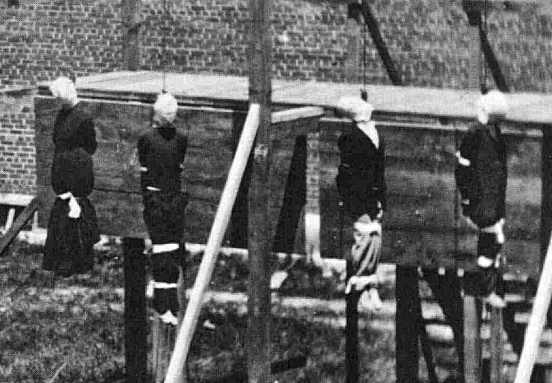 Of course, that is exactly what he did and my grandfather was captured that day, taken to Cahaba Prison near Selma, Alabama, and ultimately ended up on the Sultana that following April. I am sure he boarded the boat happily anticipating being reunited with his family. He never had that reunion. He, and nearly 1,800 others died when a faulty boiler exploded just after midnight as the boat made its way up the three-mile wide river, seven miles north of Memphis. The water was frigid and the prisoners were fragile; the death toll was fearful. For many reasons, I’m sorry that grandpa Schneider didn’t survive. Life without him was hard and sad for my great-great-grandmother, who now had to raise her children alone. She never remarried and lived on the $12/month veterans’ survivor pension until her death in 1912, when another marine disaster, the sinking of the Titanic, shocked the world. Her children never had a father, but thankfully all, including my great grandmother (Elisabeth, born in 1862) grew up to be well-adjusted adults who were happily married and raised upstanding families.